How often can I use the 18Actives Dynamic Eye Pack? For best results, the 18Actives Dynamic Eye Pack should be used twice a day. Morning and evening after cleansing and before your moisturizer or sunscreen. Does the 18Actives Dynamic Eye Pack contain prescription drugs? No. The 18Actives Dynamic Eye Pack was developed to be an effective yet gentle alternative to prescription anti-aging products, and to not cause the harsh side effects commonly experienced with those prescription ingredients. Can I use it if I am pregnant/nursing? Those who are pregnant or nursing should consult their doctor prior to use. Is it safe for African American skin? Yes, the 18Actives Dynamic Eye Pack provides skin rejuvenation for all skin tones. Where are these products made and by what company? They are manufactured in the USA and are distributed by Naturalskinshop.com in Newark, Delaware. Can the 18Actives Dynamic Eye Pack be used on sensitive skin types? These products have been developed to be used on all skin types. Those who are especially sensitive should perform a patch test prior to a full facial application to test for sensitivities. 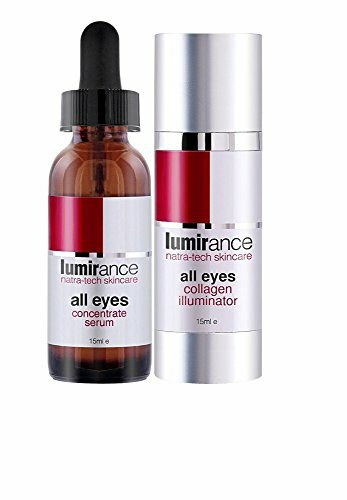 Can I use these products in the eye area? To treat the eye area, gently apply a small amount of the 18Actives Dynamic Eye Pack around the orbital bone. If you have any questions about this product by 18actives, contact us by completing and submitting the form below. If you are looking for a specif part number, please include it with your message.